Canada has finally agreed to join the modernization of NAFTA and entered into the U.S. - Mexico trade deal that is now being called, USMCA. The new agreement is essentially NAFTA 2.0 and has been updated to benefit most of North America, especially the United States. The main changes that affect manufacturers in Mexico include automotive part origins, automotive labor, the sunset clause, settling trade disputes, sourcing from non-trade countries, and duty-free tariffs. U.S. automotive manufacturers might have benefited most from the updated NAFTA because 75% of the car’s content must originate from North America, an almost 15% boost from the previous 62.5%. Of that North American Content, 40% needs to be manufactured, assembled, or produced by positions that pay at least $16 and hour. If these stipulations are not met, the U.S. has stated that it will put a 2.5% tax on incoming shipments. A tax penalty is never appreciated, but some companies may consider the costs of a 2.5% tax compared to higher costs to manufacture overall. According to businessinsider.com, the U.S. and Mexico maintain a side agreement that protects both countries from tariffs on $108 billion worth of automotive parts, and an allowance of 2.6 million cars shipped across border lines. 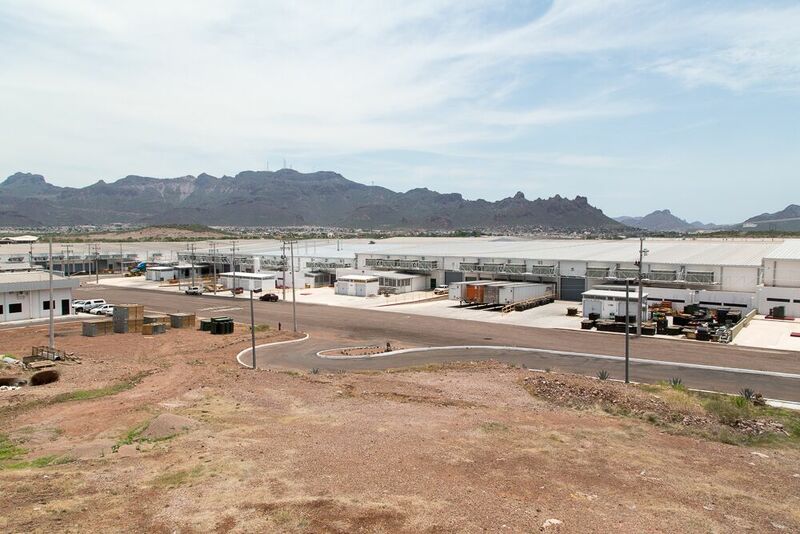 The minimum amount a person can individual take across border lines without duty penalties from Mexico to the U.S. is now $50 USD and shipments are $117 USD. The agreement states that the countries in agreement are not allowed to negotiate or deal with a “non-market” country - or a country lacking market principles including fair cost and pricing structures of merchandise and goods. If a USMCA country would like to negotiate trade with a “non-market” country, it will have to inform the other two countries about the decision and provide as much information as possible. CBC news stated that the U.S. has called China a “non-market” country and could hinder future trade with that country. If deals with China become more difficult, working with better trusted and better skilled countries, including Mexico, might be a better business decision overall. USMCA has an expiration date. If passed and signed, these stipulations will begin to be put into place January 2020, with a three year installation period. 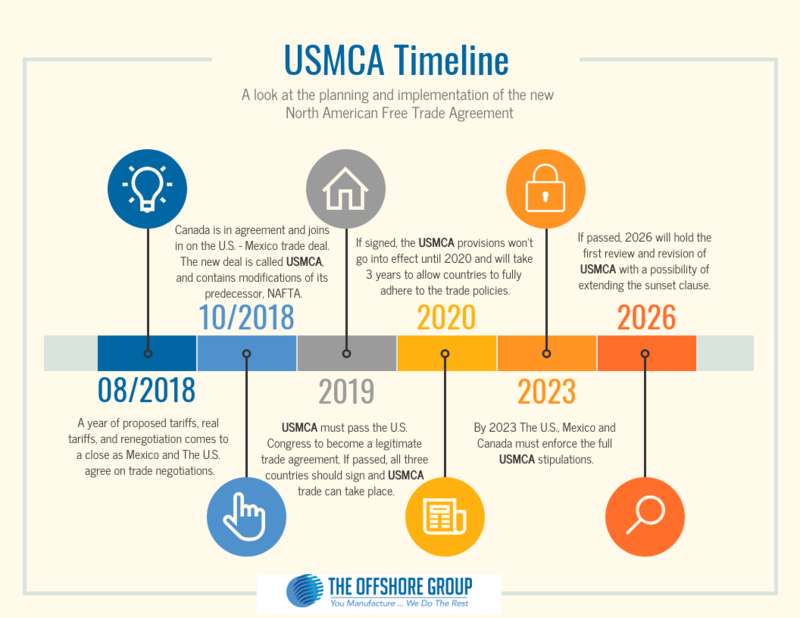 In 2036, 16 years after its possible signing, USMCA can potentially expire and become another version of its predecessor, NAFTA. This is unlikely because every 6 years since its signing the agreement will be reviewed and has the potential to be extended based on negotiations within the participating countries. Investor-state dispute settlements will be slowly phased out in the U.S. and Canada. Mexico will continue with the settlement process only for the energy sector. 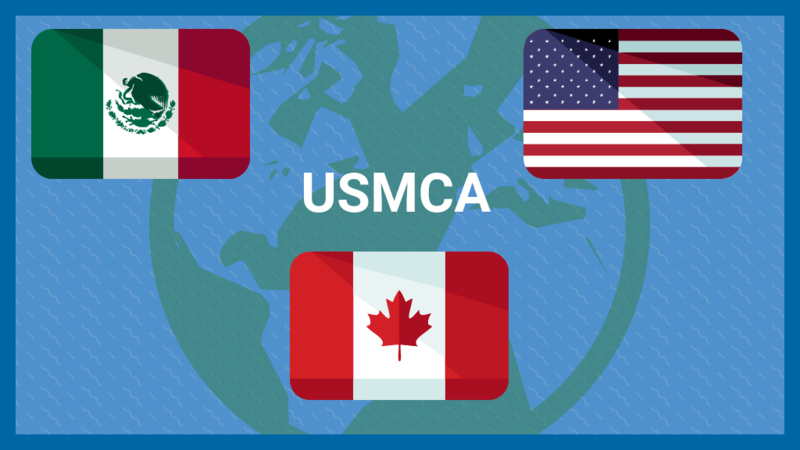 USMCA brings changes that will affect trade, but does so in slow implementations that will take years to show an impact. 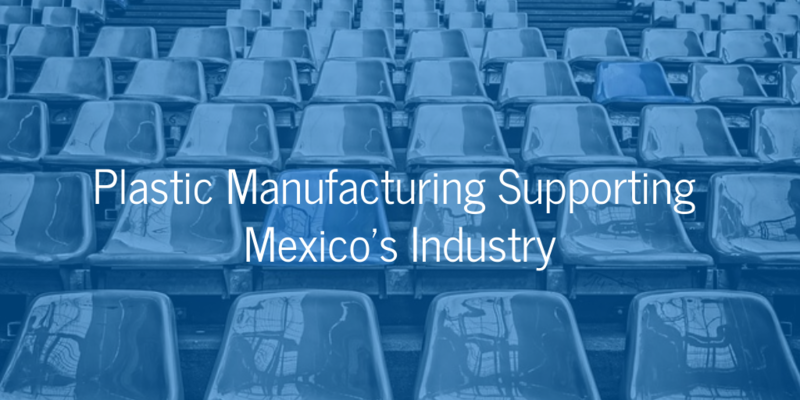 Companies who are proactive in this time period can take advantage of the inter-country trade flow and think about how manufacturing in Mexico will enable easier access to the overall North American market. 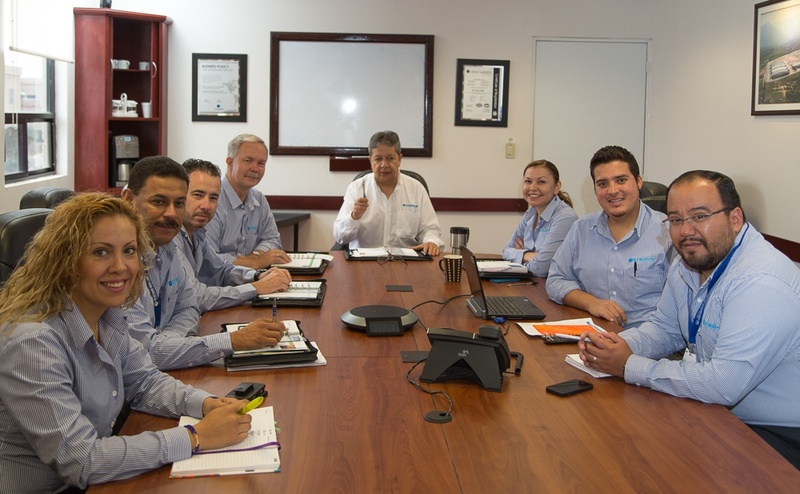 Contact us to find out how you can start a manufacturing operation in Mexico today!